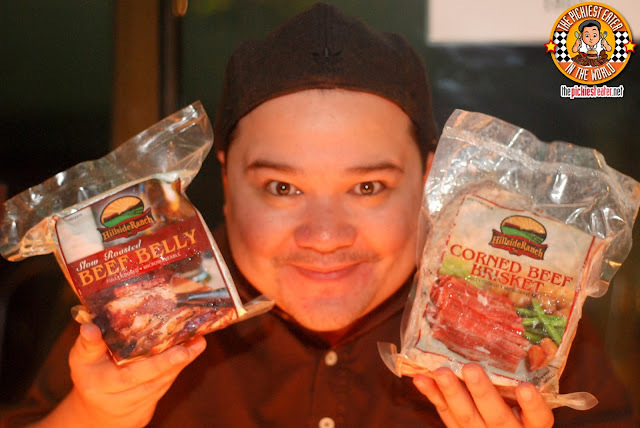 THE PICKIEST EATER IN THE WORLD: HILLSIDE RANCH ROAST BEEF BELLY AND CORNED BEEF BRISKET.. PAMPANGA'S BEST KEPT SECRET NO MORE! Hillside Ranch was created by the husband and wife team of Atoy and Chay Tayag, who coincidentally, both come from impressive culinary pedigree. 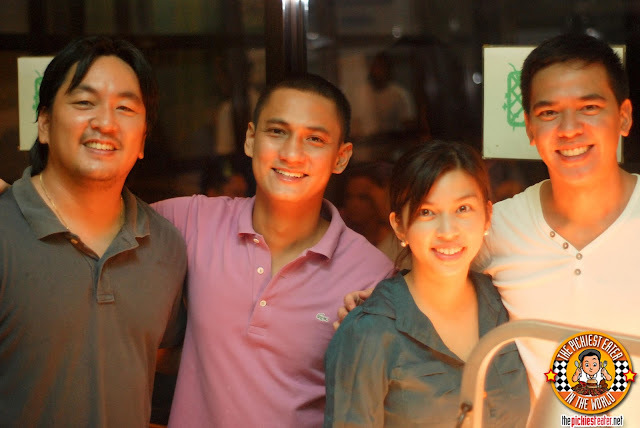 Atoy is the nephew of legendary Chef Claude Tayag, while Chay's mother owns the famous Binulo Restaurant in Clark (To date, my requests to be adopted by the young couple have been met with deaf ears). 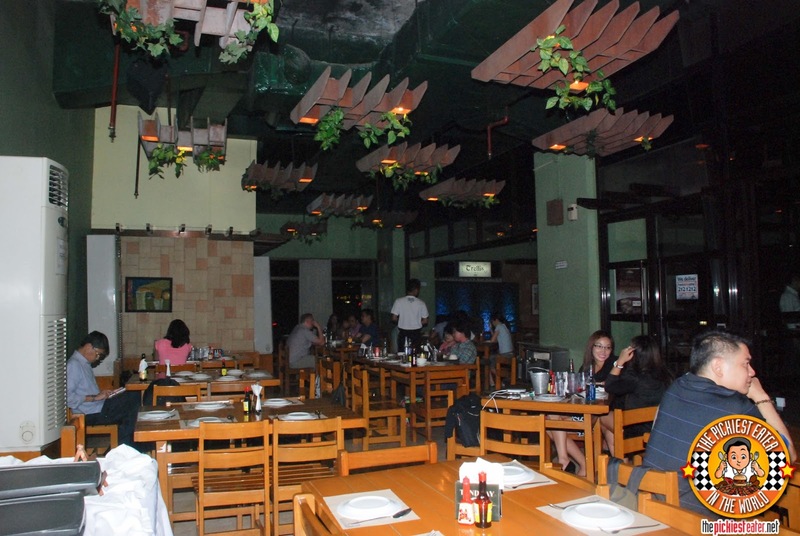 The launch was held at Trellis Restaurant in Makati, that is also known for their delicious takes on Kapampangan food. 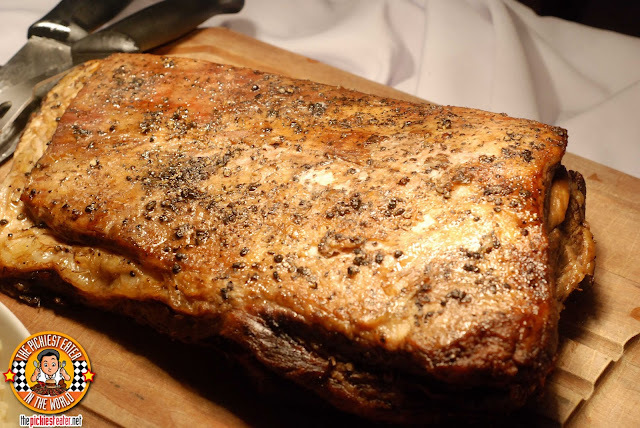 Its true that I may not have the most sophisticated palate, but if you carved me a slice of Hotel Buffet Roast Beef on one plate, and a slice of Hillside Ranch on another, I would be hard pressed to figure out which one came from a pack. To me, its just THAT good. 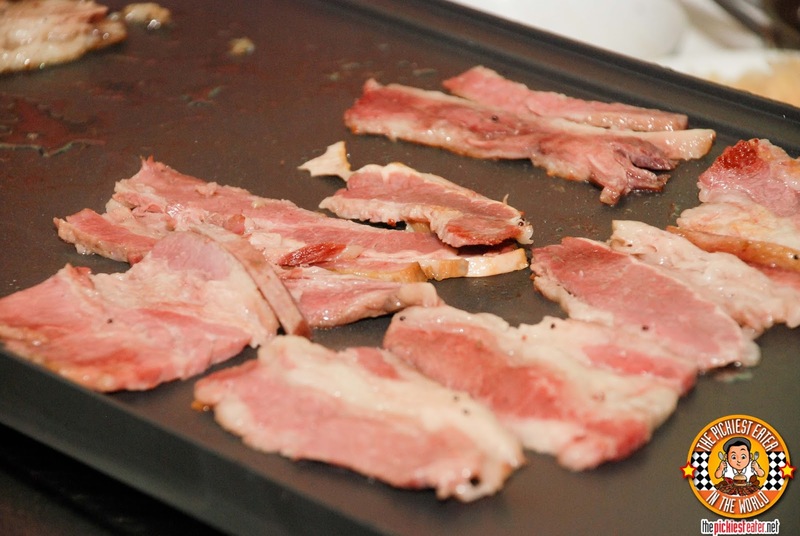 Watching the slab of beef belly being sliced with no resistance, like a hot knife through butter, and seeing the natural juices of the beef squirt out of the healthy helpings of melt-in-your-mouth fat (I love fat, sorry) and spread out into the wooden board was a near-religious experience for me. A serving suggestion, which happens to also be available in the Hillside Ranch stall in Salcedo Saturday Market, is the French Dip Sandwich (P200). Beautiful cuts of Hillside Ranch Roast Beef, laid out on a beautiful toasted Baguette bun, topped off with caramelized onions, and served with a side of Au Jus. 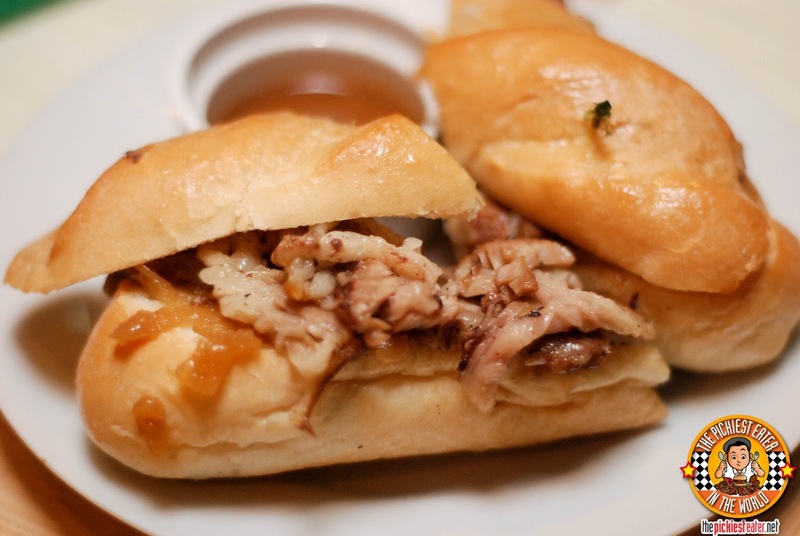 The crisp bun, dipped into the beefs own drippings, takes the flavor of a sandwich into a new level. AMAZING. 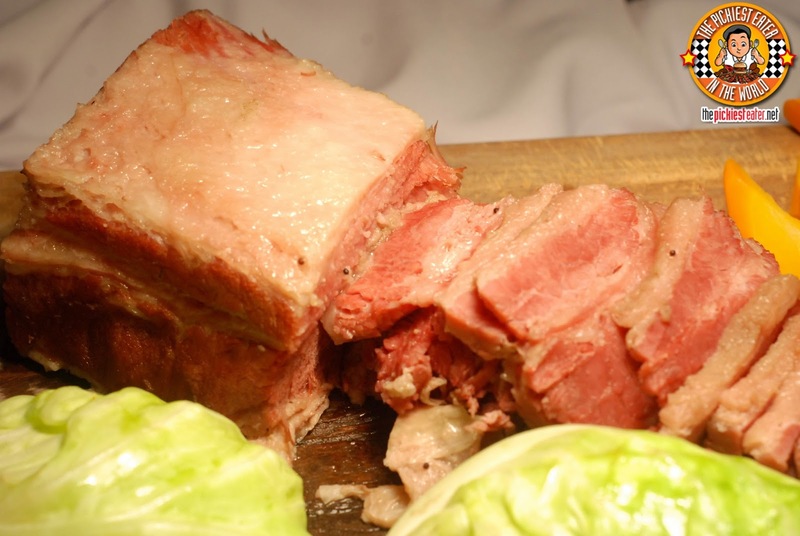 But if you're the type of person that can't eat a meal without rice *cough-cough*RINA*cough-cough*, then the roast beef is perfect with that too! Just pour on the Gravy that comes with the pack, and you're good to go! 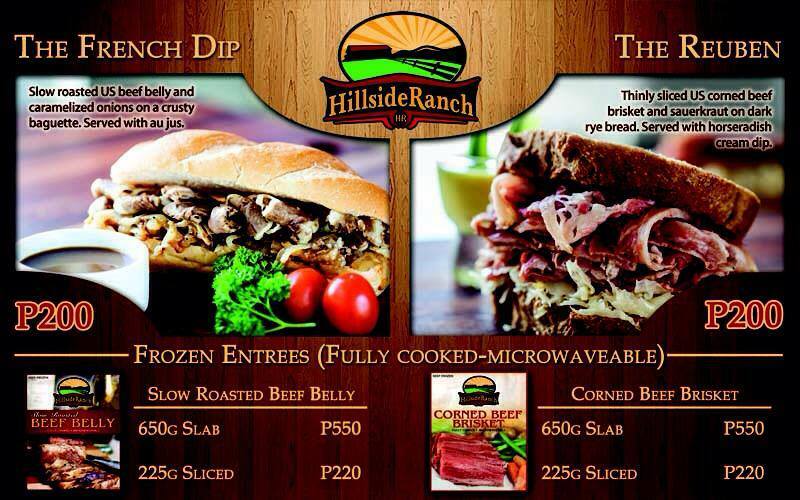 Apart from the Roast Beef, Hillside Ranch offers packed Corned Beef Brisket. 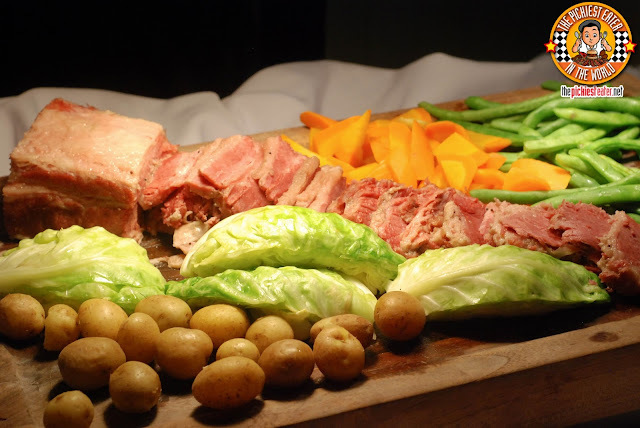 At the risk of sounding redundant, what makes Hillside Ranch's Corned Beef stand out from the rest, is the presence of.. Don't hate me.. Fat (Everything in moderation, people). The others seem to be a bit leaner than I would prefer, while the fat content here is quite abundant. This gorgeous cut of Corned Beef had beautiful linings of fat in it ensuring juiciness in every bite. Hillside Ranch's Corned Beef is perfect to make a Reuben Sandwich. 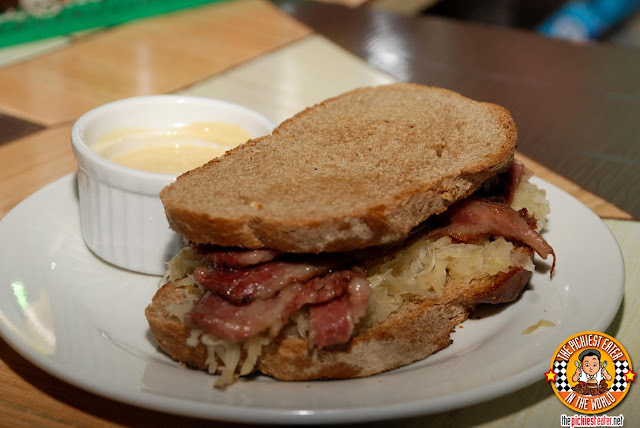 I hadn't had a good Reuben Sandwich since our trip to Katz's Deli in New York, (which in my opinion, is the greatest sandwich ever) , so I was eager to sink my teeth into this. 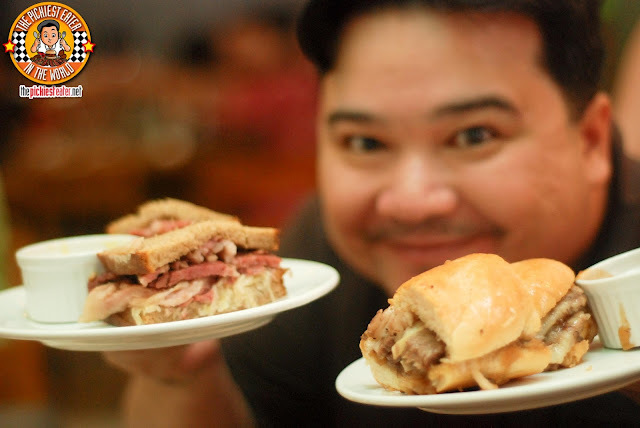 Hillside Ranch also sells Reuben Sandwiches (P200) at their Salcedo Saturday Market. 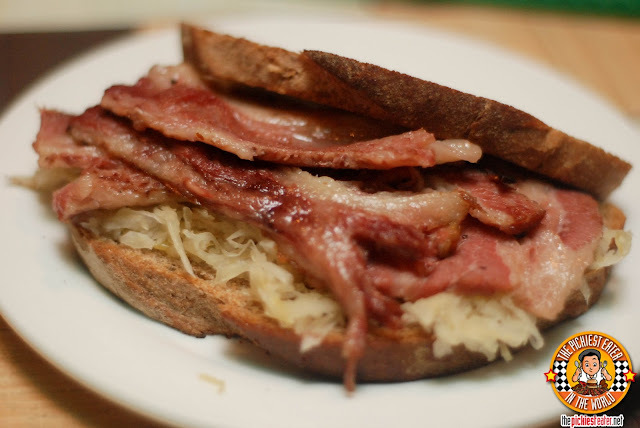 Thin slices of their Corned Beef Brisket, on some dark rye bread, with some sauerkraut and horse radish cream slapped on to add even more flavor into the mix. This is definitely something you've gotta try! I honestly don't know which I preferred, so I grabbed a plate of BOTH of them. 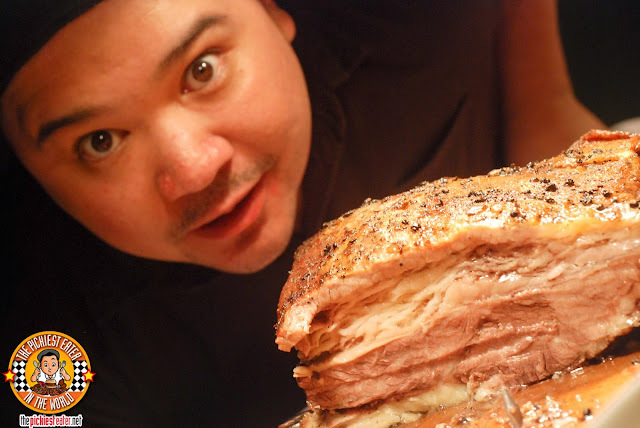 I ate so much beef, when I yawned later that night, I didn't realize I let out a "Moooo". 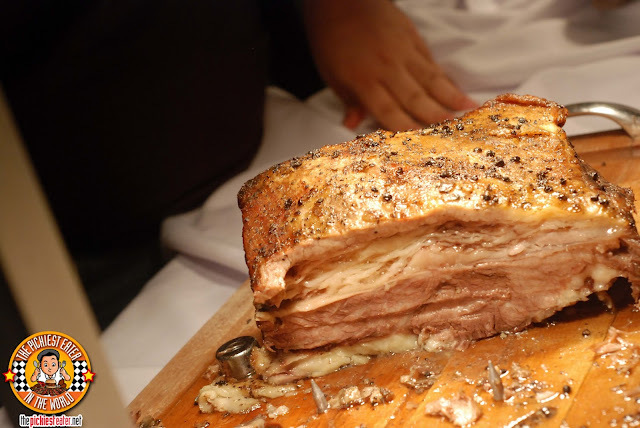 I was so close to taking a bite out of this hunk of beef like it was an apple. Rina stopped me mid-way (Killjoy). 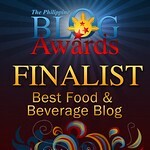 Much thanks to Dino Tayag, Jom del Rosario, Chay and Atoy Tayag for letting me a be a part of this awesome celebration! I've finished all my packs of Hillside Ranch with Rina's family and they loved it. We just pulled out a pack from the freezer, let it thaw for awhile, opened it up, placed it in the Microwave for roughly around six minutes, and viola! Instant dinner! 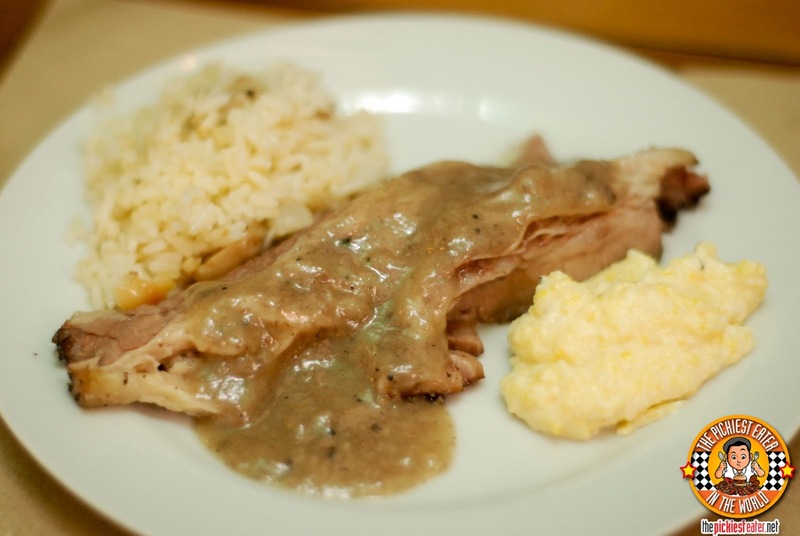 You can add more seasoning to your liking, but there's already gravy that is included. Personally, I enjoyed it with BBQ Sauce! 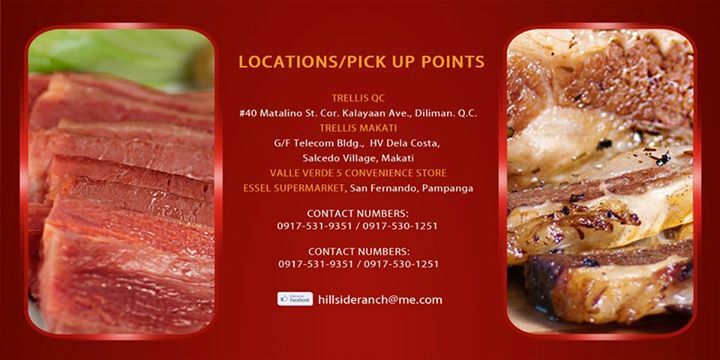 Hillside Ranch is really a hassle free meal time saver, that everyone should have in stock in their freezer. Trust me, you'll find it extremely handy when you have guests! I had the same magical experience for lunch with their Slow Roasted Beef belly... IT WAS SOOOOOO GOOD!!!!!!!!!!!!!! This is very interesting! Would you know if they have these products on stock at the Trellis branches or do I have to call them in advance for my orders? Thanks Richie! It's so good with BBQ Sauce!! How does the corned beef compare to that from Katz's Deli in New York?